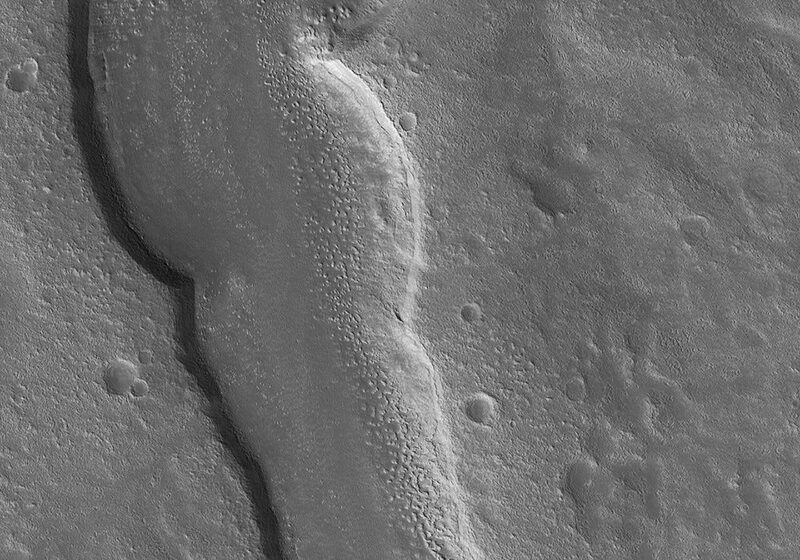 The goal of this observation is to determine the source of the ridge within a possible moraine that is also present in another HiRISE image . A moraine is a mass of rocks and sediment carried down and deposited by a glacier. If the structure is a moraine, we should expect to find two sources of debris converging in the valley. If the sources are carrying lots of debris, there is a good chance of finding more moraine features further up the valley.